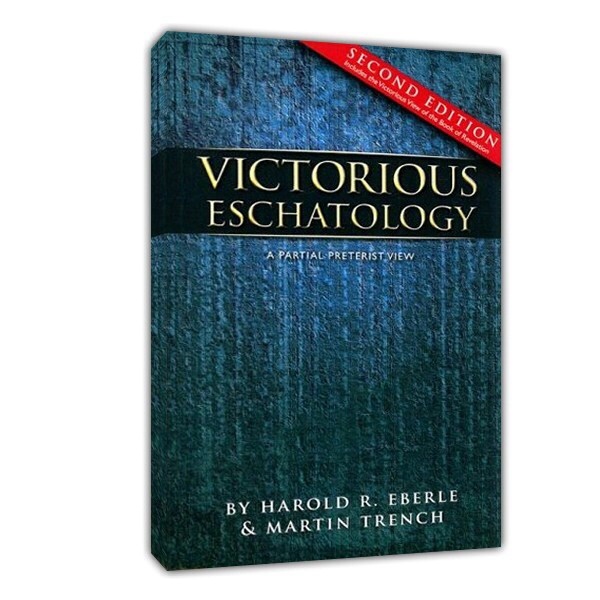 This book is what I’d call a “nuts and bolts” approach to eschatology. Other books I’ve read on the subject take a more broad look at Biblical prophesy and try to give the overall sense of what the big story of the Bible is without making any definitive statements. This book takes the reader through a verse by verse exposition of the prophesies and the authors are not afraid to come to some profound conclusions. I enjoyed this book a lot, and while I am still kicking the tires of the different eschatological view points, this book seriously pushed me in some new directions. It is interesting that a lot of Christians will just assume that what they’ve always heard is true. Premillennial Dispensationalism is true, right? Well, read this book and you might change your thoughts on the subject. Or, perhaps, it’ll newly get you thinking on eschatology when you’ve never considered the topic a worthwhile use of your time. The viewpoint is a partial preterist one. Preterism is the opposite of futurism, and so, in this book, the authors argue that much of the Biblical prophesies currently believed by many to not have happened yet, have indeed already happened — prophesies that were future for the original readers, but now fulfilled and in the past for us. No future anti-Christ figure taking over the world, no microchips implanted in foreheads, no secret rapture of the Church, no revived Roman empire, 666 refers to Nero, the Olivet Discourse mainly refers to the destruction of the temple and Jerusalem in 70 AD — these are the kinds of points you’ll find in this book, and the authors present a strong case. But, as the title suggest, the main point of this book is to present a hopeful vision of the future. Jesus has already established His kingdom, His kingdom is growing and will one day fill the earth, and our future is getting brighter and brighter, not darker and darker. And before you cry heresy, understand that many prominent church fathers held to the same view as the authors of this book, and the authors quote some of these past theologians throughout. Read the book if you want to be challenged and perhaps learn some new exciting things about God’s great plan for humanity, heaven, and earth. Click here for a related article I wrote about a similar book.